Posted 7/25/2014 5:09pm by David Paulk. Well, the tomato tidal wave has really hit! We have lots of slicing red, heirlooms, green zebras and cherry tomatoes for your summer dishes...yum! So come to the market and swim with us in a sea of tangy, sweet summer fruit (tomatoes). Plus, the weather should be perfect. - La Ratte Fingerling Potatoes (New! ): so delicious, waxy potatoes that chefs ask for by name. - Arugula: For all you arugula lovers; we have what you crave. - Green Beans: What better way to enjoy a summer meal than with fresh green beans. - Cucumbers: really great cukes; sweet and crunchy; perfect in all your summer salads and for making quick, refrigerator pickles. - Red Slicing Tomatoes: We have lots of great, red tomatoes that are equally good on sandwiches, as they are canning and making sauces. - Oranos Sweet Peppers: sweet, crunchy, great raw and cooked. - Red Bell Peppers: Large, shiny, crisp bells. Perfect for grilling, stuffing and stir fry. - Lettuce, Summer Bibb, Romaine and Summer Crisp: Two delicious options to suit your salad needs. Go to our Web site for recipes! Posted 7/18/2014 4:14pm by David Paulk. It's the start of Buy Local Challenge Week in Southern Maryland! Take the pledge to eat one local vegetable, fruit, dairy or meat product each day this week at http://www.buy-local-challenge.com/testchallenge.asp. Our Saturday farmer's market is a great way to support your local farmers, economy, health, environment, and enjoy delicious, fresh food with your family and friends. Plus, the weather should be just wonderful. - Arugula (Back! ): For all you arugula lovers; we have what you crave. - Heirloom Tomatoes (New! ): We now have in quantity four varieties of delicious heirloom tomatoes. - Basil (Genovese & Thai): The aromatic herb that says "summer is here", and go so well with tomatoes. - Icebox Watermelon: Small, sweet personal-sized watermelon. - Shallots: Delicate onion flavor that makes so many dishes perfect. Posted 7/11/2014 4:29pm by David Paulk. It was great to see everyone last Saturday and we look forward to seeing you all again tomorrow. - Tomatoes (New! ): Sort of. We finally have a large supply of nice red slicing tomatoes AND two wonderful varieties of cherry tomatoes. - Icebox Watermelon (New! ): Small, sweet personal-sized watermelon. - Shallots (New! ): Delicate onion flavor that makes so many dishes perfect. - Jalapeno Peppers (New! ): Time for that homemade salsa! - Mountain Rose Potatoes: There's nothing else like the freshness and flavor of new red potatoes. These blush-colored potatoes make a pretty, tasty potato salad. - Lettuce, Romaine, Red Leaf and Summer Crisp: three delicious options to suit your salad needs. - Red Onions: Red onions that are great raw, grilled or caramelized. -- Basil (Genovese & Thai): The aromatic herb that says "summer is here." - Fennel: aromatic anise flavor; adds nice crunchy, slightly sweet flavor to salads, particularly good with oranges, fish, and try roasted with chicken. - Cucumbers: really great cukes; sweet and crunchy; great in all your summer salads. - Scallions: fresh onion flavor for your salads and veggie saute (limited supply). Posted 7/4/2014 4:22pm by David Paulk. Happy 4th of July! To celebrate our nation's independence we've harvested red, white, and blue potatoes for your patriotic potato salad. The 4th turned out to be a beautiful day and Saturday should be even better. - Garlic (New! ): Yes, we have freshly cured garlic that is so fragrant and easy to mince, and delicious in many dishes. - Blue Potatoes (New! ): Oblong tubers with purple skin and flesh that remains firm and moist after cooking. For chips, salads, roasting, and even microwaving, they can't be beat! - German Butterball Potatoes (New! ): a delicious, waxy potato that is excellent baked, roasted, mashed, or fried. - Oranos (New! ): sweet, crunchy, great raw and cooked. - Sungold Cherry Tomatoes: sweet, tangy, and orange. - Red Slicing Tomatoes: wonderful on sandwiches, in salads, and well, everything. - Green Beans: Fresh, just-picked from our high tunnel. What better way to enjoy a summer meal than with fresh green beans. - Arugula: The spicy green you demand. - Lettuce, Romaine, Red Leaf, Bibb and Summer Crisp: four delicious options to suit your salad needs. - Basil (Genovese & Thai): The aromatic herb that says "summer is here." - Scallions (back! ): fresh onion flavor for your salads and veggie saute. Posted 6/27/2014 4:39pm by David Paulk. We have BIG NEWS (II): We are pleased to announce that local, pasture-raised poultry will be available from Swamp Fox Farm at the BAE Farmer's Market starting this Saturday. Details below photo of the week. Another busy week on the farm, getting all the sweet potatoes planted, harvesting garlic and shallots and keeping all the vegetables happy as we move through Summer Solstice. - Green Beans (New! ): Fresh, just-picked from our high tunnel. What better way to enjoy a summer meal than with fresh green beans. - Patty Pan Summer Squash (New! ): You'll love this slightly nutty, sweet squash. - Arugula (Back! ): The spicy green you demand. - Mountain Rose Potatoes: There's nothing else like the freshness and flavor of new red potatoes. - Super Star Sweet Onions: Big, very white, crisp sweet onions that are great for fresh eating in salads and on burgers, as well as sauteed or carmelized. - Beets, three varieties: Chioggia, Golden, Red: Prized for their sweet flavor. Delicious baked, boiled or steamed. And don't forget about the greens, which are tasty as a spinach substitute. - Romaine Lettuce: Big, fresh heads that add that crunch we like in salads. - Rainbow Chard: Big, beautiful, colorful leaves; when sauteed in a little olive oil or butter make a simply delicious, savory side dish. News! 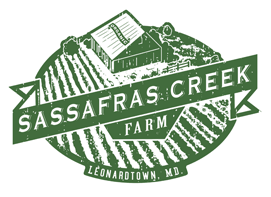 Hello Sassafras Creek Farm Customers. We are Swamp Fox Farm; a small family farm in Valley Lee, MD. Starting this weekend we will be selling whole pasture raised chicken and eggs along with fresh produce every other weekend. We raise our meat and laying chickens on GMO free feed that is locally sourced. Our birds, both meat and laying chickens, are moved over our pastures for the duration of their lives granting them access to fresh grass, air and sunshine. Our produce is grown locally without synthetic fertilizers or pesticides and harvested fresh. We are looking forward to contributing to the selection of amazing food at the BAE market this summer and hope to see you at the market soon! Posted 6/20/2014 6:53pm by David Paulk. Well, summer came early this week with 90+ degrees, which means summer veggies are starting to come in, and some spring crops are saying, "see you again in the fall." We'll be at the market tomorrow, rain or shine, and for you early risers you'll get a nice surprise. - Mountain Rose Potatoes (New! ): There's nothing else like the freshness and flavor new red potatoes. - Super Start Sweet Onions (New! ): Big, very white, crisp sweet onions that are great for fresh eating in salads and on burgers, as well as sauteed or carmelized. - Green Bell Peppers (New! ): Large, shiny, crisp bells. Perfect for grilling, stuffing and stir fry. - Fennel: aromatic anise flavor; adds nice crunchy, slightly sweet flavor to salads, particularly good with oranges, fish, and try cooked on pizza. - Summer Squash, Zephyr: Our favorite summer squash - has a delicious mild, nutty, sweet flavor. We pick them small so flavor is at its peak. (Limited Supply). - Red Onions: Fresh harvested red onions that are great raw, grilled or caramelized. Photo of the week: Super Star Onion! BAE Farmer's Market - What's Available Saturday! Posted 6/13/2014 6:02pm by David Paulk. We've been very busy on the farm and thankful June is here, because that means May is over! May is our most frantic month. All the early crops planted in March come racing in ready to be harvested in short order. The early tomato and pepper plantings now need staking, trellising and pruning. And then another planting of tomato, pepper and other summer crop transplants have to get in the ground quickly if we're going to have these veggies mid-summer. The weeds that hardly looked threatening in April now loom large. Finally, our large plantings of onions and garlic are ready to be harvested and cured in the barn. Once all of these May, early June activities are behind us we enter the summer mode of less frequent plantings, routine harvesting, cultivating weeds and making preparations for our fall crops. Never a dull moment on the farm. But welcome June, it's nice to see you! - Scallions (New! ): with pretty red/purple bulbs instead of white; same great fresh flavor; great in summer salads and stir fry. - Fennel (New! ): aromatic anise flavor; adds nice crunchy, slightly sweet flavor to salads, particularly good with oranges, fish, and try cooked on pizza. - Sugar Snap Peas: Sweet, crunchy, great on salads, and sauteed with vegetables. - Garlic Scapes: Are making their rare springtime only appearance. Ideal as pesto and in egg dishes (see recipes on our Web site). - Walla Walla Sweet Onions: Big, sweet onions that are especially great for fresh eating in salads and on burgers, as well as fried as onion rings. Mild and sweet. - Bibb Lettuce: mild, tender, buttery bibb lettuce; an excellent choice for a delicious salad, or use the leaves for wraps. - Arugula: Add a little spice to your life! . Posted 6/6/2014 7:27pm by David Paulk. We hope you all have had a good week. Now, what's a great way to start a weekend of great meals with family and friends?...come to the farmer's market with your friends and family and pick up some fresh, local vegetables, meat and baked goods. - Sugar Snap Peas (New! ): Sweet, crunchy, great on salads, and sauteed with vegetables. - Parsley (New! ): fresh, aromatic, wonderful in salads and essential in tabouleh. - Summer Squash, Zephyr: Our favorite summer squash - has a delicious mild, nutty, sweet flavor. We pick them small so flavor is peak. (Limited Supply). - Beets, three varieties: Chioggia, Golden, Red (new! ): Prized for their sweet flavor. Delicious baked, boiled or steamed. And don't forget about the greens, which are tasty as a spinach substitute. - Garlic Scapes: Are making their rare springtime only appearance. Ideal in pesto and egg dishes (see recipes on our Web site). - Bibb Lettuce: mild, tender bibb lettuce, an excellent choice for a delicious salad with strawberries, or use the leaves for wraps. - French Sorrel: The herb with a lemony zest for your fish and salad dishes. Posted 5/30/2014 5:58pm by David Paulk. We have BIG NEWS: Local, pasture-raised meat is available at BAE starting this Saturday. We are pleased to announce our friends and new farmers, Benson and Jamie Tiralla are coming to BAE Farmer's Market. Details below photo of the week. - Cucumbers (New! ): The first of our cukes, a sweet Japanese slicer. - Summer Squash, Zephyr (New! ): Our favorite summer squash - has a delicious mild, nutty, sweet flavor. We pick them small so flavor is peak. (Limited Supply). - Beets, two varieties: Chioggia & Golden (New! ): Both prized for sweet flavor. Delicious baked or steamed. Golden (limited). - Arugula: Add a little spice to your life! (limited supply this week). We are Benson and Jamie Tiralla from Monnett Farms in Prince Frederick, excited to announce that we'll be joining the BAE Farmers Market this Saturday. We have a diversified livestock farm and follow rotational grazing practices. We produce 100% grass fed beef, lamb and goat, as well as pasture-raised pork, chicken and eggs. We currently have available grass fed beef and pasture raised pork. Our meats are all natural, no steroids or added hormones. We look forward to meeting new friends and telling you more about our farm. In the meantime,you can visit our website:www.monnettfarms.com. Right now, we accept cash or check at the farmers market, and soon we'll have a credit card machine at the market. We also accept payment via PayPal for advance orders that are placed by 9pm Friday. You can view our price list: www.monnettfarms.com/meats-price-list and call us at 410-535-4357 or email sales@monnettfarms.com with your request. We are also accepting sign ups for our Meat CSA and orders for sides or quarters of beef. More information can be found on our website. Please call or email if you have any questions. Posted 5/23/2014 4:51pm by David Paulk. Things have really sped up here at the farm as new crops are being harvested and as more are being planted. The result is a bounty of fresh vegetables and fruit for your Memorial Day weekend. - Walla Walla Sweet Onions (New! ): Big, sweet onions that are especially great for fresh eating in salads and on burgers, as well as fried as onion rings. Mild and sweet. - Red Onions (New! ): Fresh harvested red onions that are great raw, grilled or carmelized. - Beets (New! ): Chioggia variety. Prized for it's sweet flavor and pretty bulls-eye ring pattern. Delicious baked or steamed. - Garlic Scapes (New! ): Like a garlicky, green onion. Try our garlic scape pesto recipe on our Web site. Easy and delicious. - Kale (New! ): Scotch Blue Curl, a great spring kale. - Strawberries: Wonderfully sweet organic, heirloom strawberries. Nothing but natural goodness. We have A LOT of delicious berries ready for your weekend deserts! - Bibb Lettuce: mild, tender bibb lettuce, an excellent choice for a delicious salad with strawberries. - Red Leaf Lettuce: Big, tender heads perfect for any salad. Try with a little balsamic dressing and fresh cracked pepper. - Mesculin Mix: Ready to eat salad. Delicious blend of reds and greens. - Arugula: Add a little spice to your life! - Radishes: Lollipop and Pink Beauty. Add some spice to you crunch. - Hakurei Turnips: White, sweet and crunchy. Wonderful raw in salads or simply sauteed or steamed, along with the greens.